This article comprises part of the Abstract of Boaz Ganor’s Ph.D. dissertation, August 2002, Hebrew University, Jerusalem, Thesis Advisor Prof. Ehud Shprinzak. Israel has many years of experience in dealing with Palestinian and Shiite terrorism on a relatively large scale, and is thus an appropriate test case for an examination of counter-terrorist policy – particularly what has come to be known as the “democratic dilemma.” This dilemma pits the need to combat terrorism effectively against the need to preserve liberal and democratic values. Surprisingly, the existing body of research on counter-terrorist strategies in Israel is quite limited. This may be due to the conception prevalent in Israel for many years, according to which terrorism is not a strategic threat and does not endanger the country’s survival. Alternatively, the lack of research may stem from the academic sector’s reluctance to tackle complex security issues, due in part to the paucity of publicly available information in the field. Most studies that analyze Israel’s defense strategies have thus addressed terrorism as a marginal issue – and for good reason. Looked at in purely physical terms, terrorism is certainly no more than a tactical problem, as can be shown from a cursory calculation of the actual physical damage and number of casualties caused in all the years of anti-Israel terrorism. However, the effect of terrorism on public morale in Israel is far out of proportion to its purely material impact. Terrorism has had a definite strategic effect, primarily because public morale eventually translates into shifts in political stance, which in turn effect changes in the nation’s policies. The present work examines Israel’s counter-terrorism policies during three periods between the years 1983 and 1999: Yitzhak Shamir’s government and the unity government that followed it (1983-1992); the governments of Yitzhak Rabin and Shimon Peres (1992-1996); and Binyamin Netanyahu’s government (1996-1999). At the heart of Israel’s counter-terrorism policy is the “democratic dilemma” – the conflict between Israel’s counter-terrorist measures during the periods in question, and the country’s liberal-democratic values. With a view to addressing this conflict, I propose a qualitative model with which to measure the harm done to democratic values by counter-terrorist policies and actions. This model is based on an analysis of the main measures that Israel has used against terrorism, and how these measures reflected on the “democratic dilemma.” The list of measures includes intelligence, offensive attacks, defensive measures, counter-terrorist legislation, prosecution of suspected terrorists, punitive measures, political concessions, and public relations and education. This study is based primarily on personal interviews with Israeli policy-makers during the period under scrutiny. Interviewees include three former Prime Ministers and three former Defense Ministers, heads of Israel’s General Security Services, Mossad chiefs, commanders of Military Intelligence, former prime-ministerial advisors on terrorism, and chiefs of Israel’s counter-terrorist bureau, as well as several other defense experts. Identical questions were presented to all, in order to compare the way they perceive terrorism and counter-terrorist warfare, and to obtain their critiques of Israeli counter-terrorism policies and their perspective on Israel’s achievements and failures. This study is based on the assumption that terrorism is a form of psychological warfare against the public morale, whereby terrorist organizations, through indiscriminate attacks, attempt to change the political agenda of the targeted population. The objective is to lead the civilian population to see the cessation of terrorist attacks as the single most important goal, outweighing any other national, social, economic, or other objectives. By convincing the target population that terrorist attacks can be stopped only by the appeasement of the terrorist organizations, the terrorists hope to win concessions to their demands. The greatest danger presented by terrorism is thus not necessarily the direct physical damage that it inflicts, but rather the injury to public morale and the impact on the way policymakers feel, think, and respond. Since terrorism targets public morale, any effective answer to terrorism must also address the issue of public morale. Countries routinely faced with terrorism must work to reinforce the sense of security and confidence of their own populace, while at the same time attempting to undermine the security and confidence of the terrorist organizations and their supporters. Consequently, when weighing the pros and cons of different counter-terrorist measures, the implications of these measures on public morale should also be taken into account. In this respect, this paper is meant to serve as a conceptual basis for further studies on the psychological aspects of terrorism and counter-terrorism. The qualitative models suggested in this paper can be used as a platform for the development of quantitative models that will enable us accurately to assess the efficacy of different counter-terrorist measures, as well as the extent to which these measures violate liberal-democratic values. Willingness to negotiate with terrorists: Whether, and under what conditions, is the government willing to negotiate with terrorists, be it during a hostage event or as part of any other scenario? Are negotiations with terrorists seen as taboo, or rather, when hostages are involved, does the government feel that negotiations should not ruled out – even if this means that the state must be ready to surrender to the terrorists’ demands? Attitude toward states sponsors of terrorism: Should diplomatic, economic, and even military sanctions be imposed on states that sponsor terrorism? Or is it better to maintain economic and diplomatic ties and use them in order to convince the relevant country to reduce or abandon its support of terrorism? How terrorism is perceived: Is terrorism regarded as a military conflict between a regular and an irregular army, requiring the development of appropriate weapons and tactics; or is terrorism regarded as first and foremost a socio-political issue that must be solved with socio-political tools? In this context, what portion of the country’s counter-terrorism policy is dominated by the military option? The terrorist organizations’ rationality and motivation: How “rational” is the adversary terrorist organization in the eyes of the government in question? How significant are cost-effectiveness considerations in the terrorist organization’s decision-making process, and to what extent does that organization direct its activities toward the accomplishment of defined goals? The objective of counter-terrorist warfare: One of the most distinctive parameters differentiating between different counter-terrorist policies is their ultimate objective. Does the government in question aim to annihilate terrorism, to reduce its impact, or to resolve the underlying issues? The resources invested in combating terrorism: This parameter quantifies counter-terrorism policy: what portion of the resources at its disposal does the state invest in handling terrorism? Timing: Should counter-terrorist policies involve routine or proactive strikes, or should the state limit its actions to strictly defensive preemptive measures? Alternately, should the government adopt a policy of retaliation, and respond forcefully to any terrorist attack against the state? Deterrence as part of counter-terrorist warfare: Is it possible to exact such a higprice from the terrorist organization that the latter will perceive the cost as exceeding the benefits to be gained? The “boomerang” effect: Are serious strikes against terrorist organizations likely to escalate the situation? In other words, do counter-terrorist attacks have a boomerang effect, or is this idea groundless? The state’s stance on the “democratic dilemma”: Should the most effective counter-terrorist activity be implemented at all costs, even at the price of eroding liberal-democratic values; or should these values be upheld at all times, even if this means compromising the efficacy of counter-terrorist activity? In this context, is emergency legislation absolutely necessary in order to fight terrorism, or should it be viewed as a substantial threat to democracy, and thus not to be considered? A similar conundrum arises in connection with collective punishment – is it imperative in order to isolate the terrorist from within, or does it instead weaken the efficacy of counter-terrorist warfare as it broadens resentment and hatred toward the state and enhances the popularity of the terrorist organization? Publicizing the government’s counter-terrorist policy: Finally, if a government has an accepted counter-terrorism policy, should this policy be made public, and its specifics be announced and adhered to consistently, in order to deter terrorists? Or will such publicity limit the options at the disposal of the decision-makers, and bar them from deviating from previous statements? All the parameters listed above are interconnected. Taken together, they compose the fabric of counter-terrorist policy. On each parameter, governments can choose policies anywhere on the continuum between rigidity and flexibility; there is thus a wide array of combined policies that any government can adopt. History and professional literature show that changing circumstances have caused governments to alter their policies. It must therefore be noted that any classification of a counter-terrorist policy is time- and place-dependent, and could change from one period to the next – when a new government takes power, when a substantial change takes place in the country, or when there is a change in the scope and attributes of terrorism. Do Israeli decision-makers perceive terrorism as a tactical, strategic or existential threat? What were the objectives of Israel’s counter-terrorist activities during the period under study? What tools and methods of operation were selected to promote these goals, and to what extent did they succeed? How did Israel’s decision-makers address the “democratic dilemma” during the period under study? … we came very close to annihilating terrorism. In my opinion—and I’m not the only one who thinks so—it is practically a fact that in 1992 the PLO was on the brink of destruction. Arab terrorism was on the brink of destruction as a whole, because they lost faith in it. Demoralization decimated all the terrorists’ ranks… The General Security Service and the Israel Defense Forces showed incredible capabilities and durability, learned the lessons from every clash, the morale of our fighters was high and we were truly close to victory. Undoubtedly, the challenges faced by Shamir’s governments and the unity governments in connection with Palestinian violence and terrorism were immense—at times unprecedented in Israel’s history. These governments scored quite a few points in facing these challenges, but Shamir’s analysis of the facts is nevertheless a subjective one made in retrospect, and does not necessarily reflect things as they really were. Shamir’s governments and the unity governments were established after the PLO’s military forces in Lebanon had been defeated and dispersed to various countries. At the same time, these governments had to deal with rising Shiite terrorism in Lebanon and fundamentalist-Islamic terrorism in the West Bank and Gaza Strip. Contrary to Shamir’s perception of the facts, the IDF was unable to properly handle the “Intifada” (Popular Uprising) and scored only limited success in Lebanon. Other cabinet members, such as Shimon Peres and Yitzhak Rabin, maintained that concurrently with military action against the Palestinian organizations, Israel must push forward political initiatives that would bring an end to the conflict; and these members gained more clout over time. Throughout this period, Israel carried out various offensive activities (including several audacious, large-scale operations) and continued to invest money and human resources in defensive activities as well. These activities were carried out both routinely and as preventive and retaliatory measures. In hostage situations these governments continued the policies of their predecessors. Meaning that when a military solution was not viable, they were ready to make the needed concessions to the terrorists—as was shown by the “Jibril Deal” of May 20, 1985, concluded when Shimon Peres was prime minister. On that occasion, three Israeli soldiers held by the PFLP-GC since the Lebanon war were exchanged for 1,150 prisoners held in Israel. The number of terrorists who were released from prison, the severity of the crimes they had committed, and the government’s willingness to allow them to return to territories controlled by Israel, were all unparalleled. However, in terms of political negotiations with Palestinian terrorist organizations, Shamir’s governments and the unity governments upheld and even radicalized their predecessors’ hard line: no negotiating with terrorist organizations. This philosophy was even put down in a law that forbade any communication with PLO representatives. During this period several high profile scandals surfaced involving attempts by the General Security Service to cover up misdeeds. Most prominent was the “Bus 300 Affair,” in which two Palestinian terrorists who had hijacked a bus were captured alive and killed by the GSS, which then tried to cover up the matter. This scandal, along with the discovery of a Jewish underground, and the need for mass punishments during the Intifada, illustrate the ethical dilemmas faced by these governments in combating terrorism in the most effective way on the one hand, while minimizing the injury to liberal-democratic values on the other. During this period, such dilemmas were often resolved by the courts, which intervened and defined the boundaries which could not be crossed. The Oslo Accords and the establishment of the autonomous Palestinian Authority made it necessary for Israel to formulate a new counter-terrorist infrastructure. This government’s policy dissociated the peace process from reactions to terrorist attacks against Israel. In other words, the peace process continued even after mass-casualty attacks in Israel, and counter-terrorist activity persisted regardless of the formal and informal restrictions imposed by the peace process. However, this disjunction between the peace process and counter-terrorist activities served as a counter-incentive for the Palestinian Authority to destroy the Hamas’ infrastructure, or even to pressure the organization to refrain from carrying out attacks on Israeli soil. In the absence of such incentive, and as long as the movement’s military infrastructure remained intact, Hamas could perpetrate as many attacks of whatever kind it saw fit in protest of the peace process, without jeopthat process or Palestinian national interests. There were occasions on which the Palestinian Authority manipulated this situation, promising Israel to prevent fundamentalist Islamic terrorist attacks as a means to score political gains. When, after Rabin had implored and warned Arafat to act determinedly against terrorism, terrorist attacks in Israel continued, Rabin – despite his declared policy – began hinting that terrorism could harm the peace process. But these hints were never backed up with action, and a “ritual” following mass-casualty attacks evolved: closure was imposed on the Territories and harsh measures were threatened, including a suspension of the peace talks; the Palestinians made a few demonstrative moves against terrorist infrastructure; and Israel came around within hours or days. But whenever Israel had to make good on its threats by linking the continuation of the peace process to effective counter-terrorist measures on the part of the Palestinian Authority, the government refrained from doing so. The policy followed by Israel during this period failed spectacularly. Counter-terrorist warfare was subjected to a long list of restrictions – some of which were imposed by agreements signed with the Palestinians, while others were the result of self-restraint, so as not to jeopardize the peace process. Moreover, even the attempt to move ahead with the peace process regardless of terrorism proved a failure, because the public could not accept this strategy and demanded that the Palestinians meet expectations, comply with their undertakings, and thwart terrorism. The loudest expression of this public sentiment was in the elections at the end of the surveyed period, which led to a political power-shift in Israel, primarily due to the sense that personal safety had been seriously compromised. On the operative level, Israel’s governments during this period continued to launch attacks against terrorist organizations, particularly against leaders and prominent operatives. Special attempts were made to reinforce security, in order to balance the loss of intelligence sources after Israel had withdrawn from urban areas in the Territories. It was during this period that Jewish terrorism reached its climax, with the first political assassination of an Israeli Prime Minister by a Jewish extremist. It was also during this period that terrorism’s effect on public morale in Israel was at its peak, and influenced political views and processes in Israel both directly and indirectly. One of the changes prompted in this way was the attitude of decision-makers in Israel toward terrorism as a strategic problem, rather than merely a tactical one. Former Prime Minister Netanyahu attributes the reduced scope of attacks to his government’s demonstrated persistence, to the linkage that was created between a continuation of the peace process and military calm, and to Israel’s military operations. This begs the question of whether Netanyahu was correct in claiming all the credit for reducing the levels of terrorism. Netanyahu’s detractors maintain that this reduction was not the outcome of any successful Netanyahu policy, but simply of a lack of motivation on the part of fundamentalist Islamic organizations to carry out attacks during this time. These groups realized that the peace process was in any case heading for deadlock, and felt no need to waste resources on terror attacks to impede a process that was already effectively bogged-down. Unlike his predecessors Rabin and Peres, who advocated separation between the political avenue and counter-terrorist warfare, Netanyahu not only stressed that the two were intertwined, but also tried to use the political channel as an operative lever to prevent terrorism in Israel. However, despite the hard line that Netanyahu says he practiced against terrorism, it seems that when he was in power he found at times that the complexities of real life made it impossible to practice all that he preached. Thus, after Palestinian violence against Israel, Netanyahu found himself adopting political resolutions to which he had been adamantly opposed in times of calm. Thus the Hebron Agreement was signed only after the Hasmonean Tunnel Incident, while Israel withdrew from 13% of the West Bank under the Wye Agreement after violence erupted over Israeli construction at Har Homa. In various writings and speeches before he became Prime Minister, Benjamin Netanyahu explained how he thought terrorism should be fought, in line with his general hard-line policies. In keeping with accepted principles, and stressing the need for offensive attacks, most Israeli decision-makers and leaders of the defense establishment in this period supported the individual targeting of terrorist leaders, although with some hedges. In terms of defense, Netanyahu’s government, which was formed shortly after the trauma of the mass-attacks of February-March 1996, inherited a large and expensive security infrastructure. In addition to military and police units that had been set up to protect the borders, roads and specific facilities, this infrastructure also included designated units, such as the unit for protection of public transport and the unit for protection of schools, which had been founded in order to protect Israel’s “soft underbelly” – the home front. Shortly after Netanyahu’s government was formed, budgets for these units were cut, until eventually they were terminated altogether and integrated into the more conventional units of Israel’s police force. Before he was elected, Netanyahu repeatedly stressed his objection to making deals with terrorist organizations, with no exception for hostage situations. But his uncompromising stance was never actually tested when he was Prime Minister; during his term, no Israelis were taken hostage, so the dilemma of whether to negotiate with terrorists did not come up. Nevertheless, based on the policy that his government practiced in connection with bringing home the bodies of soldiers Yosef Fink, Rahamim Alsheikh and Itamar Ilya, it is reasonable to assume that Netanyahu would not have behaved much differently than his predecessors in hostage situations. In return for Ilya’s remains, Netanyahu’s government was not only ready to hand over the bodies of Hizballah terrorists, but even went so far as to instruct the South Lebanese Army to release Shiite prisoners from Lebanjails. Netanyahu may have dubbed this deal a humanitarian gesture, but in fact he was willing to barter with a terrorist organization. As Prime Minister, Netanyahu did not introduce significant legislative changes relating to counter-terrorism policy. Moreover, the leeway that General Security Service interrogators were given in questioning terrorists was narrowed, and the government refrained from passing a law that would regulate this issue. Compared to this void in counter-terrorism legislation, Netanyahu’s government made extensive use of various punitive and preventive measures, with closure, deportation, administrative arrests, and razing and sealing-off of homes leading the list. Netanyahu emphasized the psychological impact of terrorism on public morale and spoke of the need to neutralize these harmful effects. His critics, on the other hand, argue that he manipulated people’s fears in order to make political gains and beat Shimon Peres in the 1996 elections. The fact that Israel suffers a relatively high rate of terrorist attacks of all types means that policy makers have had constantly to revisit the “democratic dilemma.” This dilemma appears as a kind of leitmotif throughout the different governments, and is amplified or muted according to the prevalence of terrorism at the time. The keys to this dilemma are counter-terrorism legislation, intelligence-collection methods, media censorship, interrogation of suspects, indictment procedures, and the admissibility of evidence. Added to this are various controversial punitive measures, such as closures on towns and the razing and sealing of homes, and different types of offensive attacks, such as targeted killings, etc., which involve the killing of terrorist activists without trial. The “democratic dilemma” is relevant to all aspects of counter-terrorist warfare, including offensive attacks, defensive tactics, punitive measures and legislation. Some of the dilemmas in countering terrorism in a democracy are connected to intelligence gathering. Most counter-terrorism literature defines intelligence as the key factor of counter-terrorist warfare. The policy-makers and former heads of Israeli security services interviewed for this paper also stressed the pivotal role that intelligence plays in Israel’s counter-terrorist strategies. Thus the problems of intelligence gathering have been chosen for the purposes of this abstract as one example of counter-terrorism dilemmas. Even in case where the necessary intelligence operations are not outright illegal, they may still be injurious to liberal-democratic values. One of the most controversial issues in this context is the interrogation of suspected terrorists. The matter of interrogation methods epitomizes Israel’s democratic dilemma. The possible violation of the rights of a suspected terrorist, to the extent of torture and physical injury, is juxtaposed with the prospect of obtaining critical information that would enable thwarting terrorist attacks and saving many lives. This issue was one that all the Israeli governments between 1982 and 1999 had to face, and it illustrates the sensitive and problematic relationship that the government and the Executive in general (primarily the military establishment and the Security Services) have with the legislative and the judicial branches of government. Israel’s governments have traditionally backed the mode of operation of the General Security Services; legislators refrained from passing laws requiring the GSS to stick to methods of operation recommended by the various investigative commissions that looked into the matter, while the courts allowed the General Security Services to continue with traditional methods of operation, albeit with repeated expressions of disdain at the absence of legislation. However, during the period under study, the freedom that General Security Services interrogators had in questioning terrorists was continually diminishing, to the point where they were completely prohibited from applying any physical pressure, including what the “Landau Commission” had dubbed “moderate physical pressure”. But the democratic dilemma inherent in intelligence gathering goes beyond interrogation methods. It is also evident in issues such as surveillance, wiretaps and agent running, to mention just a few. In the case of the use of human sources, the question is, how far intelligence agents may go in order to establish themselves and their credibility within the terrorist organization? May they, for example be granted permission to take part in the organization’s illegal activities, or even initiate such activities? The “democratic dilemma” is thus one of the main dilemmas in the counter-terrorism policy implemented by any democracy. Terrorist organizations are well aware of the ethical dilemmas involved in exercise of counter-terrorist measures, and try to leverage this in order to undermine the legitimacy of the government against which they are fighting. The key question, as mentioned above, is whether an effective war can be waged against such organizations without allowing substantial injury to liberal-democratic values. The answer appears to be positive, although it is not an easy feat. Government commitment– The government should define its commitment to do everything possibly to protect the lives and well being of its citizens within the boundaries of the law. If a persistent and pressing need arises to fight terrorism, and the conduct of this fight entails violation of the law, the government must strive to amend the laws in compliance with the parameters laid down above. In any case, counter-terrorist measures must not violate the accepted laws of the state. Emergency legislation – Counter-terrorist bills that are liable to conflict with liberal-democratic values must be supported by an absolute majority of the Parliament members. Such laws must have a fixed date upon which they automatically expire. These laws should include provisions as to when and in what cases they are applicable, and set forth an independent supervisory mechanism that would verify that the restrictions set forth within the language of the law are complied with. In general, the use of emergency legislation should be limited to a minimum wherever standard legislation can suffice. Control – It should be expressly stated that all defense agencies are subject to routine and ad hoc control and supervision of the Legislative bodies. Judicial review – It should be determined that all operative actions implemented as part of the state’s counter-terrorist warfare are judicable. Remedies – Anyone who deems himself injured by counter-terrorist activity may seek redress through the courts. The definition of a terrorist organization – Clear and explicit definitions should be provided for the inclusion of movements in the list of terrorist organizations. Offensive attacks – Such measures should be chosen that would reduce to minimum any injury to innocent bystanders. Individual terrorists can be targeted for purposes of preemption and the prevention of specific terrorist attacks, but not as a punitive measure. Intelligence gathering – It should be stipulated that permission to collect intelligence by means that are liable to infringe civil rights (surveillance, wiretapping and the like) can only be granted by a judge and only in advance. Indictment procedures – If a different judicial procedure must be set for terrorists than that used for criminal offenders, an independent external agency must be appointed to monitor implementation from the moment an arrest is made. Methods of interrogation – The various methods must be determined by law, as should supervisory mechanisms to bar violations. This supervision can be technical or can aided by an independent entity that would accompany the interrogation process, even without the suspect’s knowledge. Special memust be provided for “ticking bomb” cases, subject to the approval of a special independent committee and subject to parliamentary supervision. In general, the objective should be to use advanced techniques that render the use of violence and torture unnecessary. Administrative penalties – All types of administrative punishments must be subject to judicial review. Where the evidence justifying the punishments includes privileged information that cannot be disclosed to the suspect or his counsel, this evidence must be brought before the court. One possible solution would be to set up a special, high-clearance department within the Public Defender’s office; this department would review the material and provide the judge with an educated opinion regarding the sensitivity and validity of the evidence. Collective punishment – Collective punishment should be avoided. Operations whose influence extends beyond the terrorists themselves (including closures, curfews, encirclement, etc.) must only be implemented for specific operative purposes, and for a pre-defined period of time; they must not be used as punitive measures. Defensive measures – The use of defensive measures that could infringe civil rights should be limited to a minimum. If such means are nevertheless required, they must be approved by parliament on a case-by-case basis. In any event, the restrictions stemming from the defensive activity must not single out any minority group within the general population. Censorship – Media coverage of terrorist attacks must not be censored. However, the media should be encouraged to follow an ethical code that would avoid playing into the hands of the terrorists. If the media fails to follow such a code voluntarily, public pressure should be applied to motivate it in this direction. 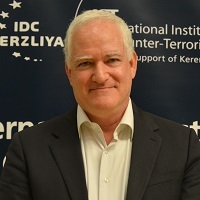 Based on Israel’s experience, several conclusions and recommendations can be drawn for the benefit of policymakers in connection with key questions of counter-terrorist warfare, such as intelligence, deterrence, targeted killings, hostage situations, and the psychological effects that terrorism has on public morale. Almost every offensive action launched by Israel during the period under study was officially announced as a measure aimed at deterrence. The interviews with decision-makers indicate that at least some of these leaders themselves were not fully convinced that deterrence was even possible. Despite this, Israel’s counter-terrorist history indicates that although deterring terrorist organizations may be complicated, it is nevertheless possible. In most cases only tactical deterrence can be achieved (thwarting or postponing specific terrorist attacks) rather than strategic deterrence (extended prevention of all types of terrorism). Deterrence is a key element in counter-terrorist strategy, but there are hurdles and difficulties that must be overcome to accomplish this goal. Deterrence measures must therefore be tailored to suit the objective; goals should be determined at the outset and the right balance of threat must be maintained. Finally, the state must not convey a message of deterrence to terrorist organizations if it knows in advance that it will not be able to exercise these threats or if the enemy is liable to underestimate the state’s capability and determination. Demonstrative threats that are only designed to boost public morale and have nothing to do with actual deterrence must be avoided. Although ostensibly most decision-makers in Israel support such offensive activity, the interviews conducted for this research reveal that on this issue too the position of some leaders is much more complicated than the official statements might indicate. When considering targeted killings, decision-makers and defense agencies should make several preliminary distinctions and calculations, here summarized as: frequency, screening, weighting and alternatives. Frequency (quantitative parameter) – Decision-makers should bear in mind that just as with other measures, excessive use of this modus operandi detracts from its efficacy, because it becomes part of the terrorists’ routine. Targeted killings should therefore be reserved only for selected targets. Screening (qualitative parameter) – Only prime targets whose elimination would thwart specific terror attacks, or would set the terrorists back and make it more difficult for them to organize and prepare attacks should be selected. Intelligence sources – Successful operations require accurate preliminary and real-time intelligence. This can lead to the exposure and neutralization of the intelligence source shortly after. The state may thus have to pay the price of losing a valuable source. International standing – Targeted killings of terrorists usually draw international rebuke, certainly from countries that identify with the terrorists’ cause or sponsor the organization, but in many cases also from other countries that deem this type of counter-terrorist activity as illegitimate, in violation of international norms and in contradiction to criminal law. Possible complications – Decision-makers must consider the possibility that the military operation might fail or that things may not go as planned. One possible complication is diplomatic and international damage; another possible complication would be the necessity of rescuing the task force – a situation that could conceivably escalate into a direct military conflict. Alternatives – Because of the high costs that may be involved, the state must first weigh all the possible alternatives that could achieve the same goals (at least in part) at a lower cost. As difficult as it is to evaluate the effectiveness of any particular counter-terrorist measure, this is even more true in the case of targeted killings, if only because it is impossible to tell how many terrorist attacks were prevented by the killing, and what would have happened had it not taken place. Sometimes, missions that in the short-term seem successful, in the long run turn sour, and vise versa. Another pillar in Israel’s counter-terrorist warfare is its policy with regard to negotiating with terrorists in hostage situations. Israel’s image as a country that does not concede to the demands of terrorists was exposed as unfounded in many incidents in the 70’s, 80’s and 90’s. Unlike other facets of counter-terrorist warfare, this is one aspect on which Israel had a well-publicized policy, albeit not a written one. This policy, which was set and formulated by former Prime Minister Yitzhak Rabin as early as the 70’s, stipulates that as long as the option of defeating the terrorists by military means is still viable, this is the favored option. In the absence of such an alternative, the government will negotiate with the terrorists and will be ready to accept some of their terms in return for the release of hostages. This was indeed the guideline followed by Israel’s governments for many years. The possibility of overpowering the terrorists – Establish whether a military operation is at all feasible. Do the defense forces have the means and skills that are required to successfully accomplish this mission? The prospects of the success or failure of a military operation, and the implications – Evaluate the chances of success of a military operation, and use this estimate to calculate the cost-benefit ratio. The terrorists’ demands – Are their demands realistic and specific? Do they require the government to make far-reaching concessions? Are these demands such that they simply cannot be met? Ultimatum – Have the terrorists presented an ultimatum by which time its demands must be met, and how much time is left? What are the terrorists expected to do once the ultimatum expires? Does past experience indicate that they will extend the ultimatum, or are they more likely to harm the hostages? How the terrorists treat the hostages – Is there a clear and present danger to the hostages’ safety? Does this danger call for immediate intervention by the military forces? Internal and external pressures – Under what circumstances are the negotiations being held? What pressures are the hostage’s families bringing to bear on the policymakers? Does the condition of the hostages mandate an immediate solution (casualties, for example)? Are there foreign citizens among the hostages, and are their governments applying pressure to resolve the situation swiftly without risking the lives of the hostages? The terrorists’ profile and the level of communication with the government’s negotiators – These factors influence the level of trust that the two sides have toward each other during the hostage event, and thus also bear on the prospects of resolving the crisis by means of negotiation and compromise. Terrorism in modern times is usually designed to score political gains by generating public pressures. On a national scale, the physical damage caused by modern terrorism is relatively small, in comparison with other causes of death such as road accidents and disease. Even if direct financial damages caused by terrorist attacks are taken into account, the physical damage caused by terrorism still does not exceed that of a tactical threat, with the exception of some kinds of non-conventional terror attacks. However, in Israel, there is a consensus transcending political differences that terrorism is nevertheless a strategic threat (although not an existential one), due to the injury to civilian morale. The erosion of personal and national security leads to heightened anxiety and influences political stances and moves. In retrospect it can be said that this strategy of terror indeed does accomplish some of its goals in swaying public opinion in Israel. Two types of fear can be distinguished in this context: “rational fear” and “irrational anxiety.” Since terrorism can cause death, physical injury and other damages, it is naturally a scary phenomenon. This type of fear cannot be eliminated or even reduced. However, the primary goal of modern-day terrorism is to augment “irrational anxiety,” namely, anxiety that transcends the actual objective threat by far. For this purpose terrorist organizations mobilize mass media, the Internet and various methods of psychological warfare, designed to amplify the impact of terrorist attacks. One of the ways in which this is accomplished is by “personalizing” the attacks—convincing civilians in the targeted population that it is only by chance that they themselves or members of their family were not hit this time, and that they will probably not be so lucky next time. Since terrorism is strategically designed to erode public morale, and since it is the injury to public morale that presents the strategic danger on a national level, counter-terrorism strategies must address the psychological factor as well. Counter-terrorist warfare must therefore define psychological targets of its own that would—to the extent possible—neutralize the impact of terrorism domestically and concurrently injure the morale of the terrorists and their supporters. Naturally, all counter-terrorist measures should be designed to thwart attacks before they occur, since successful measures of this kind would reduce the physical damage caused by terrorist attacks and thus also reduce the subsequent disintegration of public morale. However the proposed steps should also have direct influence on public morale. 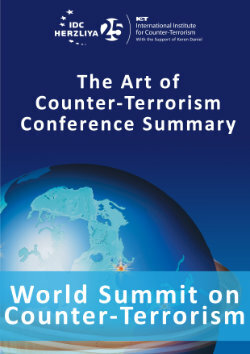 Effective counter-terrorist warfare should strengthen the people’s endurance, counterbalance the terrorists’ manipulation of public opinion, reduce the levels of fear and anxiety, while at the same time dealing a blow to the terrorists’ morale, influencing the mood in their domestic environment and swaying international public opinion. Without effective actions to reduce the psychological damage to public morale caused by terrorism, a country may well win the battle, but lose the war. The prevention of any specific terrorist attack—a central goal in counter-terrorist strategy—is the equivalent of winning a battle. Yet, if at the same time, tourists refrain from visiting and civilians are afraid to use public transport or send their children on school trips, this means that the terrorists have in fact won the war. Ironically, terrorists could win even without shooting a single bullet or detonating a single car bomb. It is enough for them to create an atmosphere of terror through threats, public statements and demonstrated capabilities in order to accomplish the psychological effect they desire. When asked to assess the efficacy of Israel’s counter-terrorist warfare, most interviewees responded that no comprehensive achievements can be singled out, although there were some accomplishments of which Israel can certainly be proud. Although Israel could not annihilate terrorism altogether, the military establishment, led by the intelligence community, was successful in preventing hundreds of terrorist attacks over the years and in protecting the country’s strategic assets. When evaluating the efficacy of counter-terrorist warfare we must therefore address four key indexes: the terrorist organization’s operational capabilities, its motivation to carry out attacks, morale within the organization and its supporters, and the morale of the targeted population. Each counter-terrorism measure should directly or indirectly influence at least one of the four efficacy indexes listed above. Before selecting a counter-terrorist measure, decision-makers should evaluate the possible impact that this measure may have on the different efficacy ind, and decide accordingly. To conclude, in order to tackle terrorism, which impacts all realms of life—military, social, political, economic and psychological—All nations must adopt a long-term strategic perspective. One of the objects of terrorism is to injure the targeted country’s long-term interests and hinder its progress towards its goals. Thus any decision on how to respond to terrorism, and what measures and policies to implement—military or political, rigid or flexible—must take into account not only immediate needs but also assess how such measures would influence the country’s interests in the long-term. Records of Israel’s counter-terrorist activity in the period in question indicate that between 1982 and 1999 Israel did not have a written policy or persistent strategy in battling terrorism. Most of the policymakers who were interviewed for this research agree that Israel does not and never did have a written, systematic and coherent counter-terrorist doctrine. This unanimity notwithstanding, some of the interviewees felt that over the years several guidelines have evolved, reflecting the philosophies of contemporary policymakers. Indeed, my findings indicate that all the governments during the period under study in fact implemented the same counter-terrorist measures, in terms of offense, defense and punitive measures, although at times there were differences in scope, timing, emphases and the publicity that these governments gave to their counter-terrorist activities. The experience in counter-terrorist warfare accumulated by Israel since its inception is sufficient to set forth principles for such warfare. Although adherence to these principles may not eliminate terrorism altogether, it would enable the state to tackle the problem more efficiently without compromising democratic values, while at the same time furnishing decision-makers with sufficient flexibility to cope with the challenge of modern terrorism.